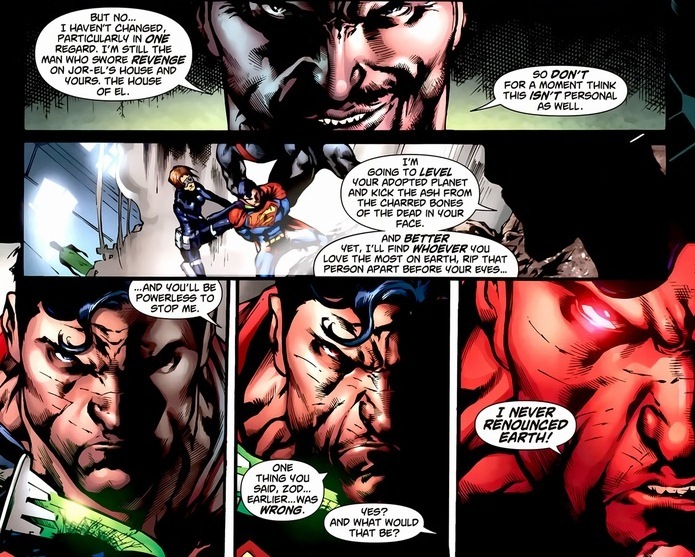 The most powerful hero in the DC universe! So strong! So handsome! So righteous! And he just made a huge mistake. 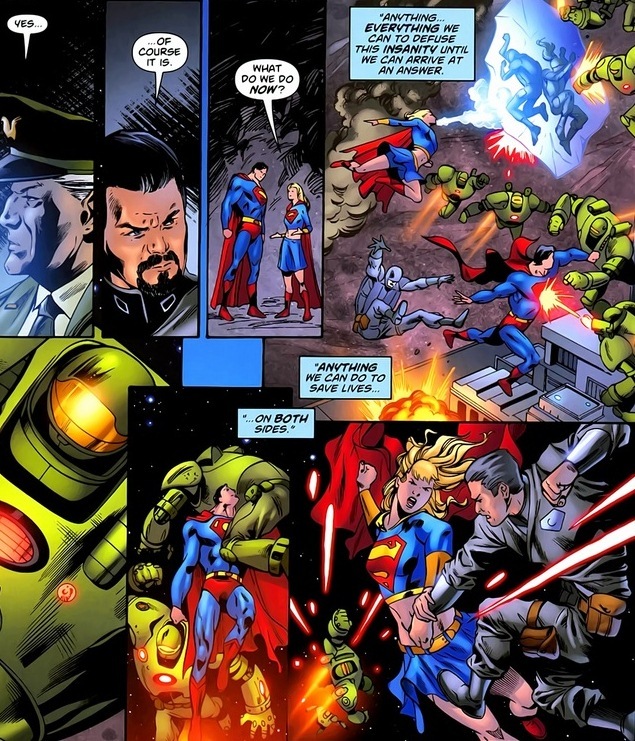 One day, Braniac (the super intelligent alien) attacks Earth and Superman saves the day. As he always does. 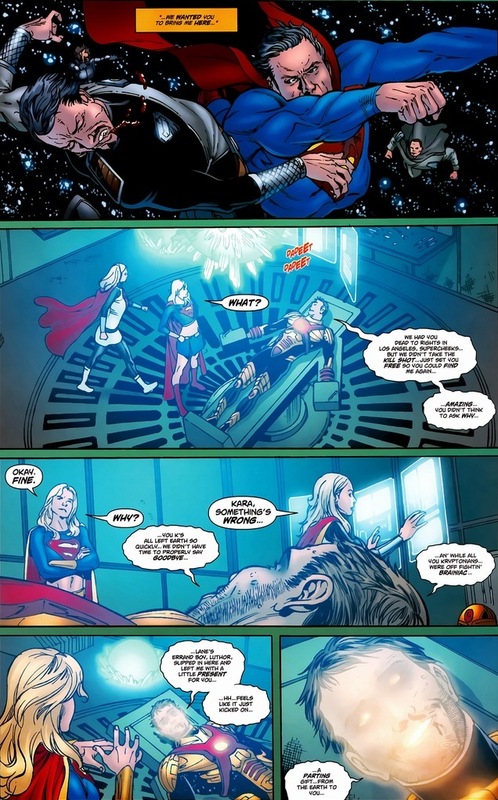 But among Braniac’s trophies was the shrunken Kryptonian city of Kandor, neatly placed in a bottle. Well, not anymore. Now back to full size, Kandor and its population got their own nice little planet on the other side of the solar system. Good and bad news. 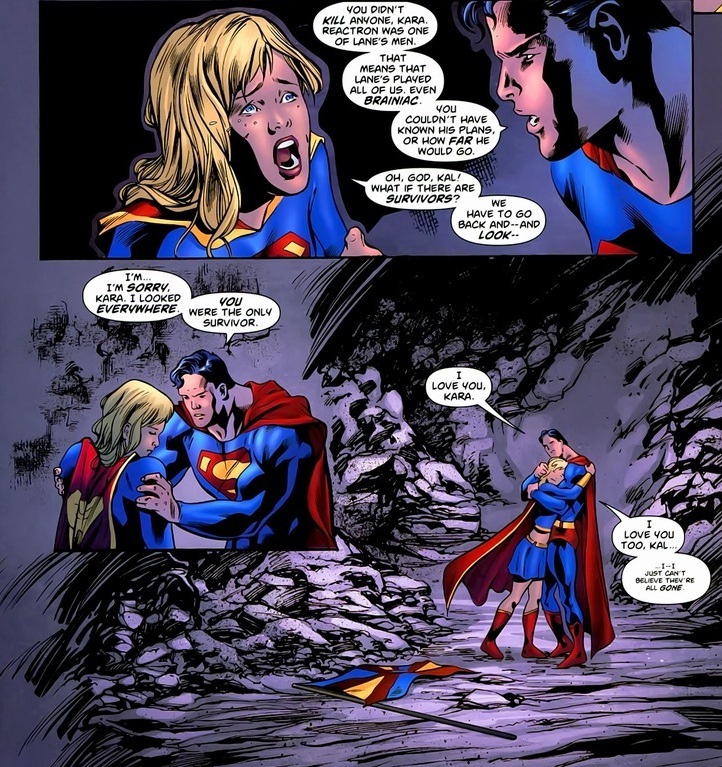 Superman now has a hundred thousand of his own people, thought forever lost in Krypton’s explosion. 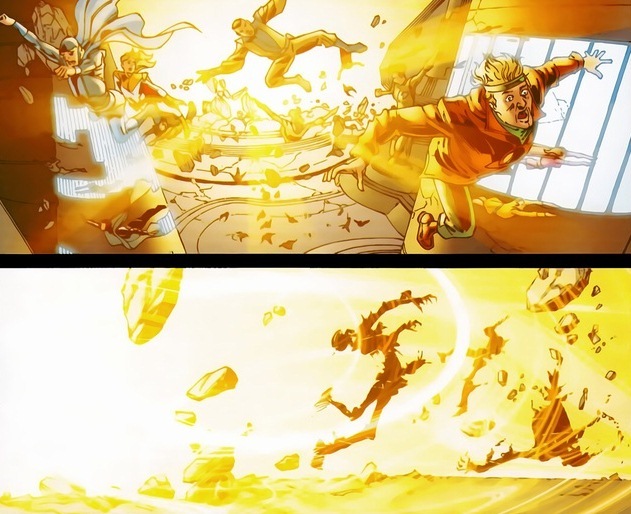 But because they now also live among a yellow sun, they all get Superman’s powers. 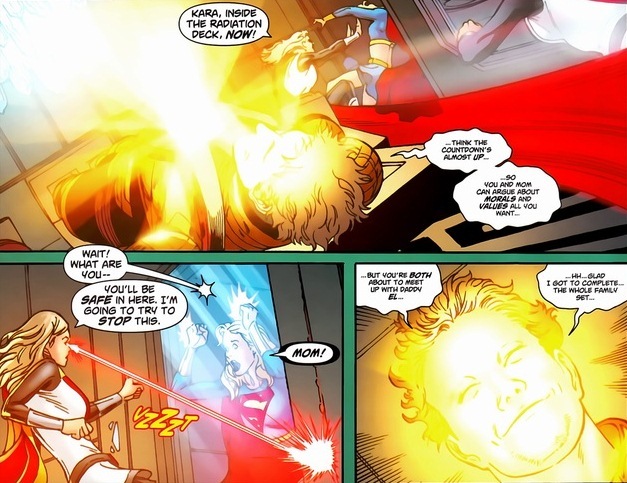 For those not in the know, to explain how Kryptonians are normal people on Krypton yet have crazy powers on Earth, writers decided that it was the sun’s yellow solar rays the triggered all those abilities. 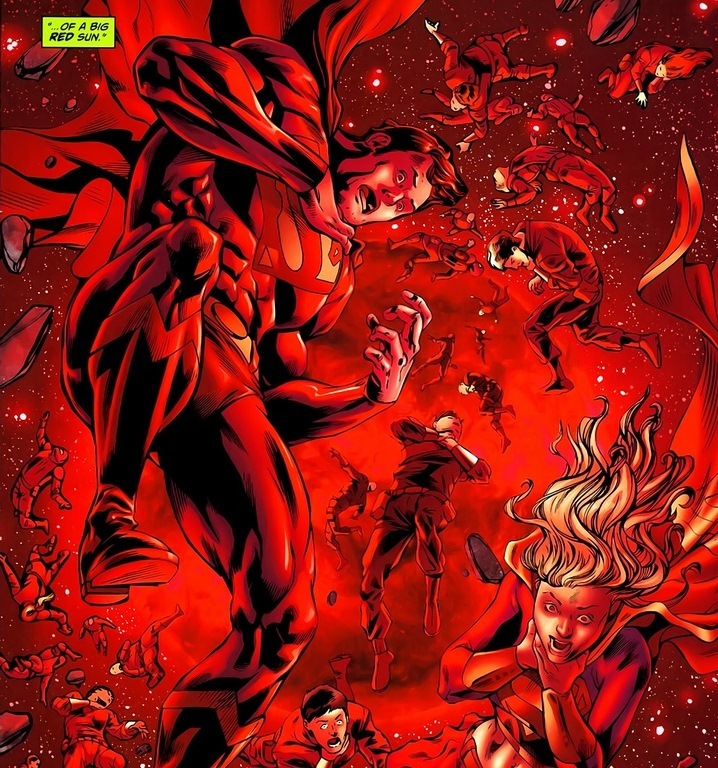 Y’see, Krypton has a red sun, which keeps them at civilian strength. 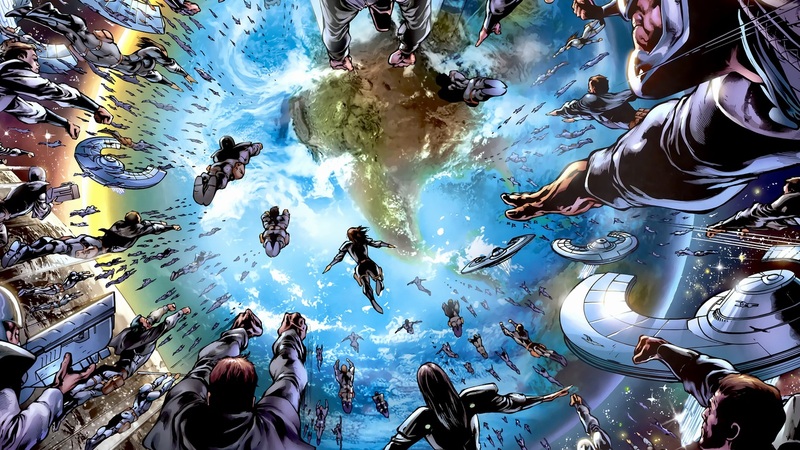 Well, just because there are a hundred thousand Supermen running around, Earth should be safe as long as some power-hungry vengeful supervillain doesn’t take control of New Krypton and start a war with our lovely blue planet. Oh, except that’s exactly what happened in War of the Supermen #1-4, written by Sterling Gates and James Robinson and drawn by Jamal Igle. 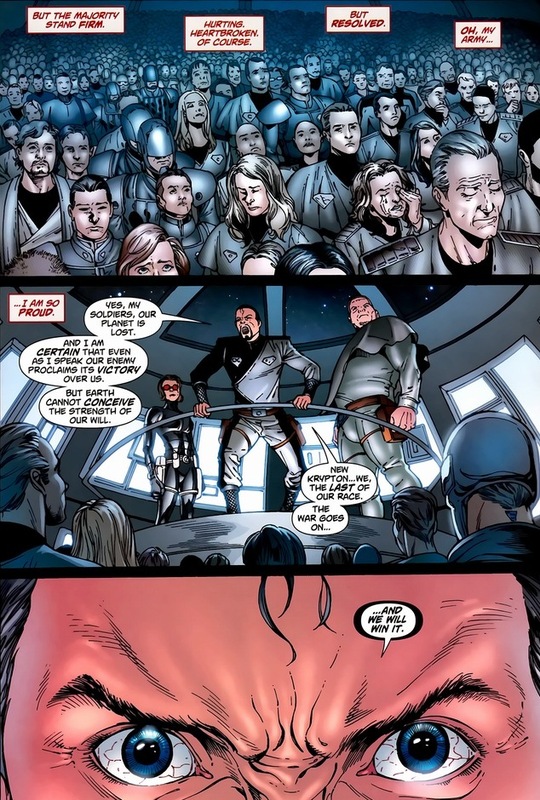 Meet General Zod. 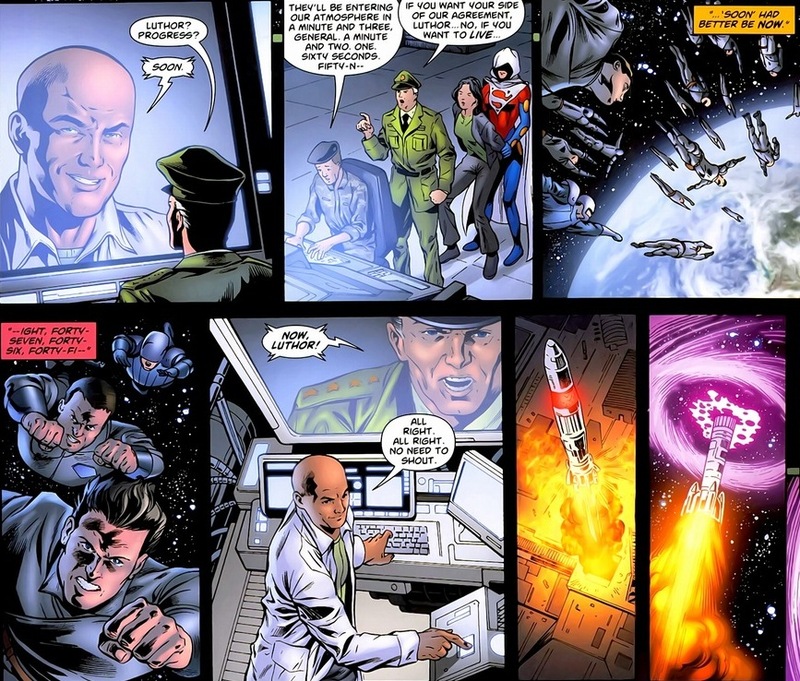 Back when Krypton was not exploded, Zod served as military leader until he committed treason (by siding with Jor-El believing Krypton’s imminent destruction) and he was shipped off to the Phantom Zone. It’s a weird dimensional place, like a prison, but where people sentenced there lose their physical attributes. Like ghosts. It’s complicated. 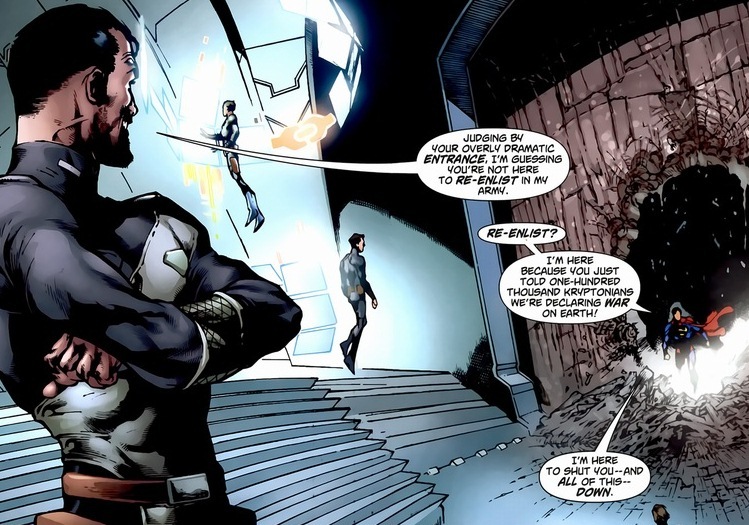 Anyway, because Zod was in the Phantom Zone, he survived the destruction of his home planet and now spends his life escaping his prison and trying to kill Jor-El’s son, Superman. 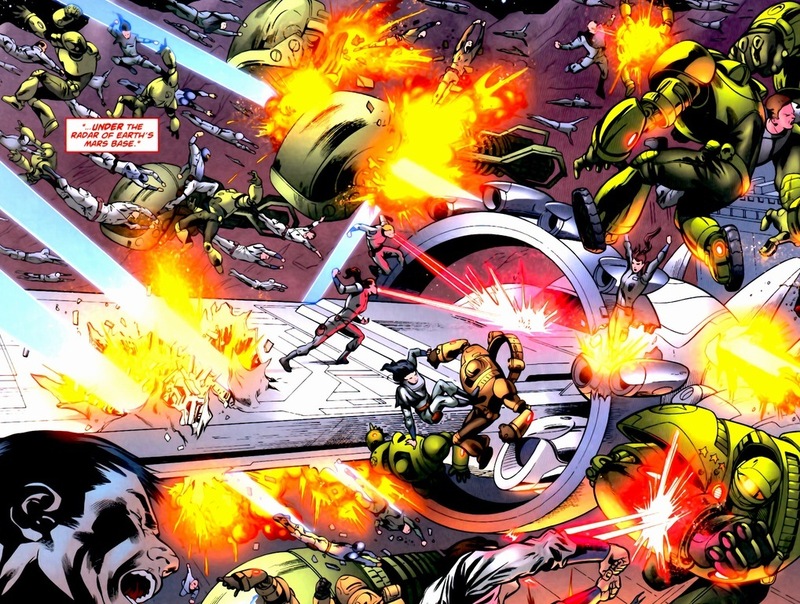 Strangely, Superman’s rogue gallery isn’t fairly well-known, but he’s definitely one of the bigger names that battle the Man of Steel. 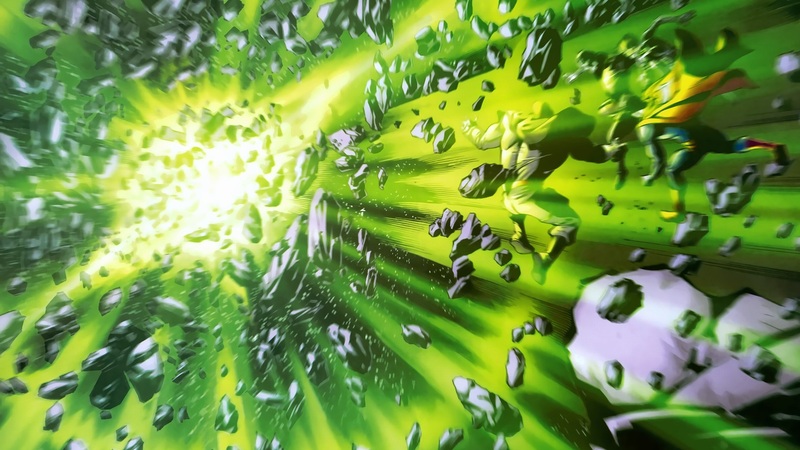 Before the war begins though, we should check back in on New Krypton itself. 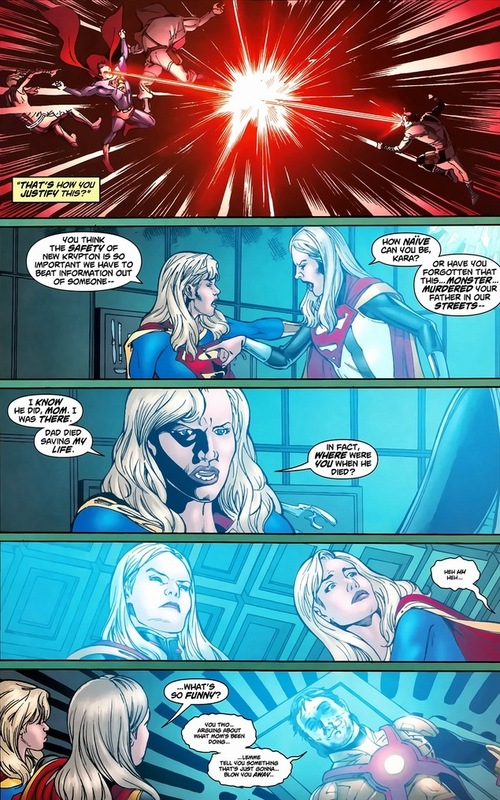 There, Supergirl and her mother are interrogating one of Luthor’s supervillain henchmen they captured. After this, doesn’t look like negotiations are going to solve the war. 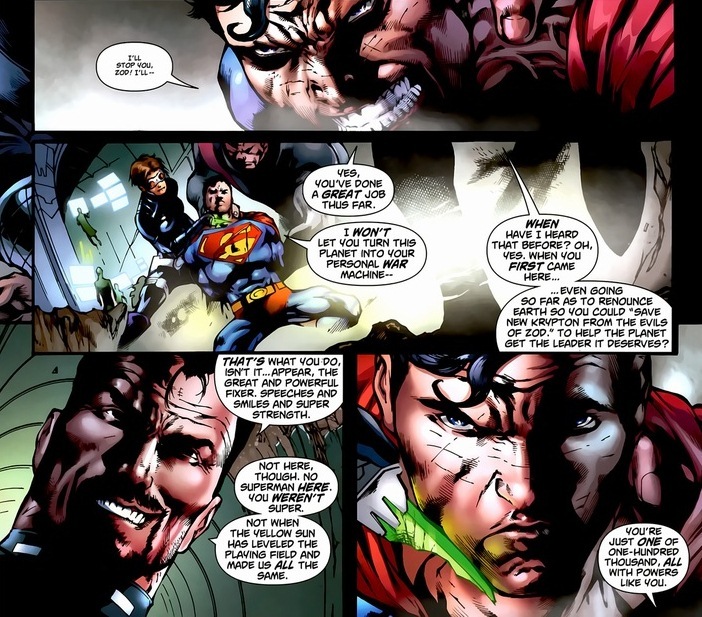 Nope, Superman just got himself involved in a massive bloody rumble with zero hope of slowing down the momentum. At least he does the responsible thing and goes to look for survivors. I’m sorry, I meant survivor. Now, Earth’s not stupid. 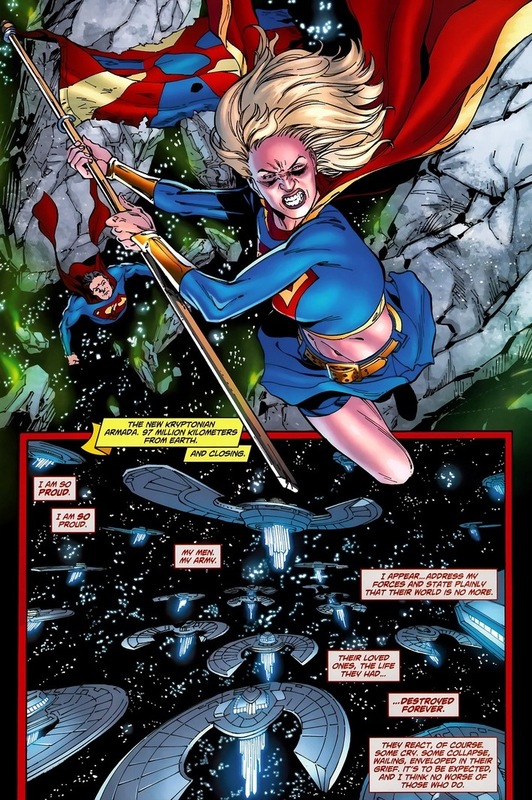 Trust me, as strong as the New Kryptonians are (very), Earth has a few trump cards up its sleeve. Including one that’s downright cruel, horrific, and genocidal. 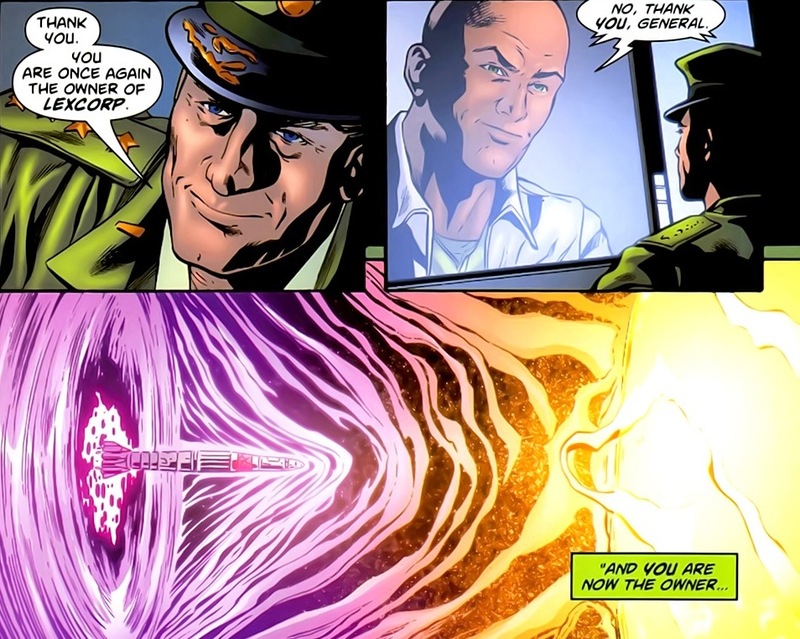 Y’know, the one Lex Luthor thought of. What a jerk! But also, what a brilliant military move. 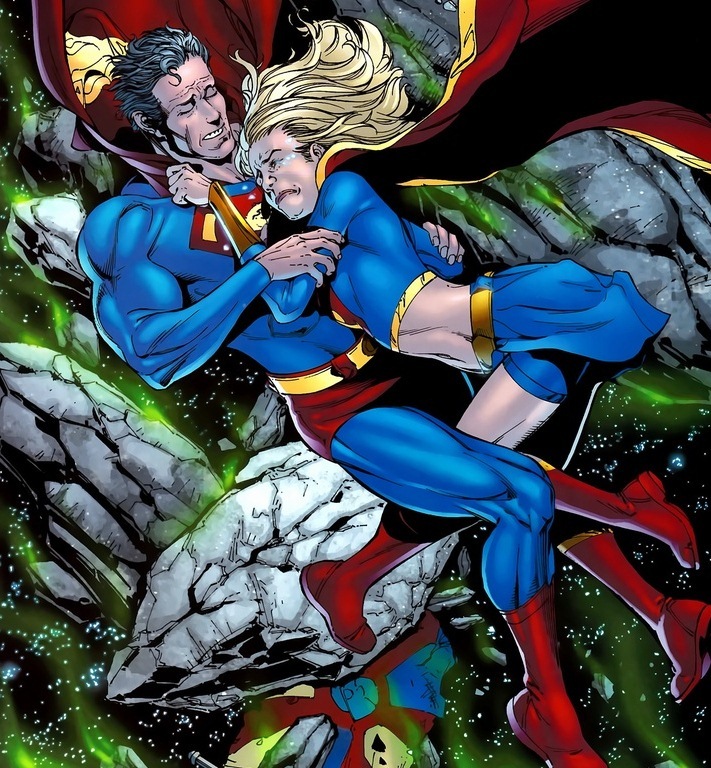 Are Superman and Supergirl doomed? I still have 20ish images left, so we’re going to save the rest for tomorrow. But don’t worry, because there’s plenty of punching to come. Each time I see Guardian or Steel, I feel overwhelmed by nostalgia. 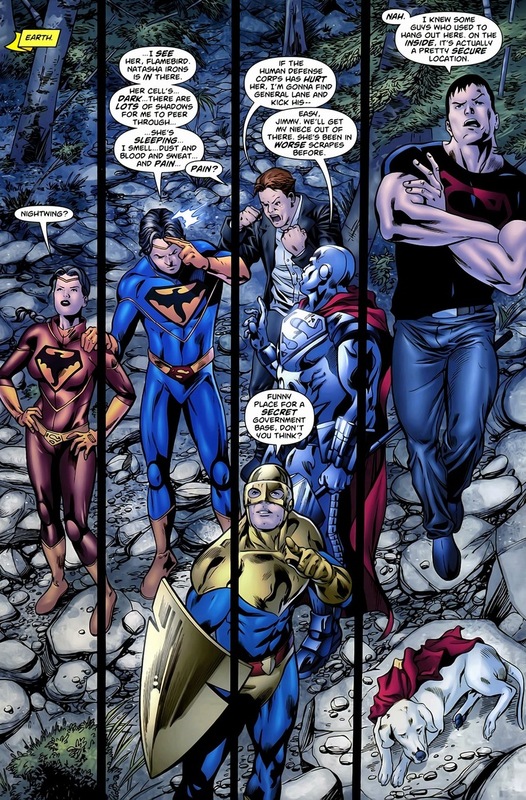 Guardian was Superman’s adult sidekick in some wonderful 90s stories, and in the same period Steel had a solo series I absolutely adored. When it closed, it was one of my biggest pains as a comic reader, along with the closures of Generation X and Gotham Central. I still remember how shocked I was, when I found out Gotham Central was about to close: a DC staff member told me that at a convention, and I simply couldn’t believe it. I felt the need to sit and to think about the reason why a so wonderful and critically acclaimed series had been cut. The answer never came. 90s and 00s didn’t give us much to be thrilled about, but the series I mentioned were simply over the top. I admit it, I’m an 80s nostalgic. At those times colour wasn’t digitally added, superheroes did not look like a bunch of body builders and they did not hold ridiculously oversized weapons. Actually, they didn’t need any weapon at all: when they had to solve a problem, they used their brain instead of violence. The stories were better as well – of course we can find something good and something bad in each era, but at those times there was more irony, more deepness, and, most of all, more hugely talented authors. Nowadays, even if you find an ironic author, he’s ironic in a Tarantino way, like Garth Ennis. And even if he/she is talented, he/she will never reach the level of authors like Frank Miller or Chris Claremont. Anyway, the 10s started in a very good way. Both Marvel and DC are printing some high quality stuff, and even the other publishers, like Image and Dynamite, are regularly offering something intriguing.